To start a new venture, not only a brilliant idea is required which may fill the existing market gap, but it also needs skilled and trained professionals who can form a lasting team to make the venture successfully last long. Here is a case study on Syybol, a relatively fresh fitness startup of Mumbai, to define the open avenues of opportunities existing in the Indian fitness biz unleashed by two professionals from diverse fields to create a new segment in the trade for Dance Fitness. 1. Fitness is seen as a burden, an unpleasurable task, though necessary for health. You feel great AFTER a workout, but the workouts themselves are hardly enjoyable. 2. Dance based workouts are either randomly choreographed, and therefore, provide less than potential calorie burn and training scope or are set to unfamiliar music with unfamiliar dance moves- thereby seeming a huge Task and causing boredom after couple of sessions. Syybol claims to address both these issues by creating a systematic plan around choreography, and incorporating full body movements that activate and strengthen the body, build stamina and demonstrate results. This, all the while, being the most enjoyable workout, where the music and moves are familiar to the audience- and hence, more fun and enjoyable. 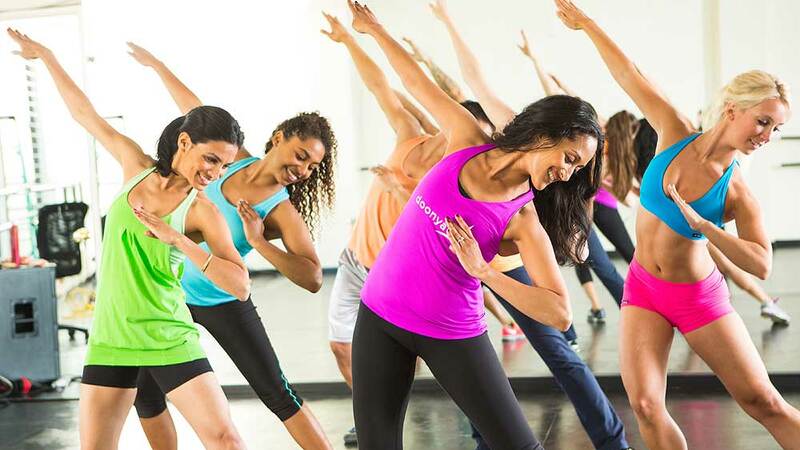 Elaborating the USP of the startup, Manisha Kapoor, Co-founder, Syybol said, “We are a systematically designed and created dance-based workout that is set to familiar dance, music and moves. Syybol trainers will be PERSONALLY trained by Ashraf Sayed in the 5 principles of Syybol. “We will create large and small alliances with associates and partners to create a new fitness movement,” added Sayed. The two co-founders of Syybol - Ashraf Sayed and Manisha Kapoor came together to give new edge to their passion for fitness. The duo aims to transform the lives of people to make it more joyful and healthier. Sayed, who is a seasoned dancer, choreographer and fitness trainer, with over 12 years of experience, has professionally trained in various dance forms like Bollywood, Contemporary, Jazz, Hip-hop, Salsa, Jive. He has performed at IIFA, Malaysia and was selected as the best dancer at SDIPA amongst 2000 other participants. While Kapoor is a brand and strategy professional, with over 20 years of experience in corporates like Unilever and Johnsons&Johnsons. The lady is currently doing consulting assignments with top MNCs and Indian companies on brand and business strategy. She has worked with clients like Philips, Fortis, HSBC, Kotak bank and Unilever to name a few. Currently, Kapoor serves on the Consumer Complaints Council (CCC) committee of Advertising Standards Council of India. The fitness enthusiast has been running an online fitness community called ‘Fit Right In’ for almost 3 years. The duo teamed up a couple of months ago to develop and launch this boot-strapped venture. Syybol was launched in Mumbai around mid-July. The startup has elaborate plans to extend its reach in other large cities across India over the next 18-24 months. Being a fitness startup, the duo is facing tough challenges of finding resourceful staff. “The key challenges are around good trainer talent as well as addressing the consumer’s need for newness and change. Dance, music and choreography by nature are ever changing. In terms of talent development and retention, we plan to have some innovative retention plans based on both incentives as well as some schemes not yet seen in the fitness industry,” noted Sayed. However, the positive side of the venture is that, the startup has generated a lot of traction across different geographies in a span of two weeks of its launch on Facebook. Due to this, they’ve plans to expand its online and physical presence aggressively. As of now, Syybol founders have plans to establish the brand and expand it to multiple cities within India. However, in the long run, the duo aims to make it a global brand. “We plan to have on ground classes as well as online coaching videos to reach a larger audience. We believe we have a robust workout structure that also addresses the key consumer reason for dropping out of fitness track- boredom and fatigue,” added Kapoor. Growing at 6.1 per cent in 2014-15, the Indian fitness industry is expected to grow at 6.8 per cent CAGR in 2015-20. This means, there’s adequate space for startups to flex arms into the trade and make it big. Modasta: Removing language barriers in healthcare..